We are delighted to advise you that Professor Bellamy has awarded Dulhorn Farm Holiday Park the Gold accolade in the David Bellamy Conservation Awards. 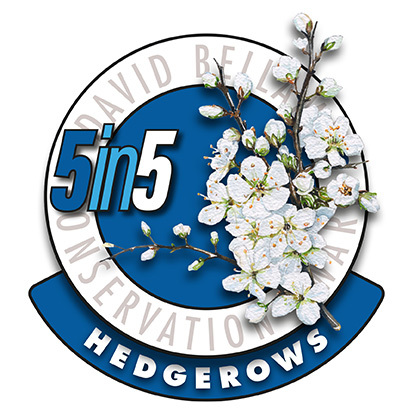 What’s more, we have also been recognised for our wonderful, wildlife-friendly hedges and, as a result, we have earned our first 5 in 5 badge! The David Bellamy Conservation Award Scheme is one of the longest running green tourism awards in the UK. The idea of the scheme was first sown when David Bellamy gave a talk to members of the camping, caravanning and holiday home park industry in which he gave the audience members a challenge to be part of the environmental solution and not part of the problem. David was then invited to visit many parks and was amazed at the wide range of work that the most forward-thinking owners were doing for the environment. David was so impressed that a partnership was formed between the Conservation Foundation (the environmental organisation that David co-founded to help businesses get involved in conservation) and the British Holiday & Home Parks Association to set up an award scheme.